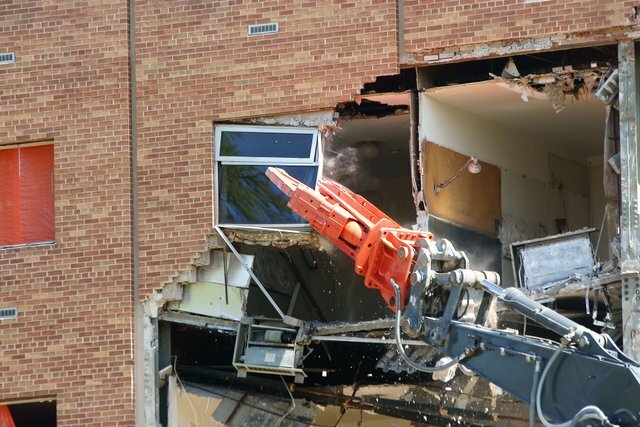 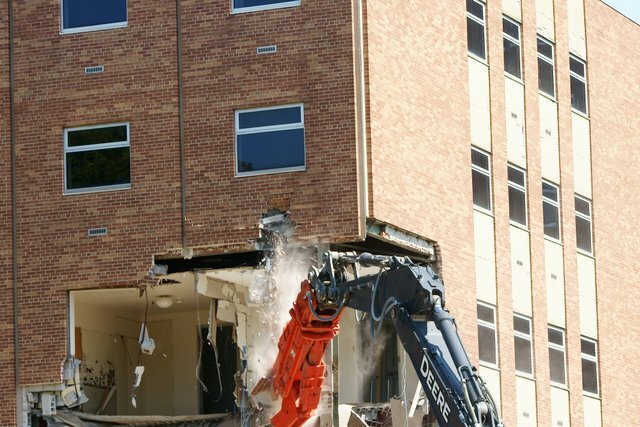 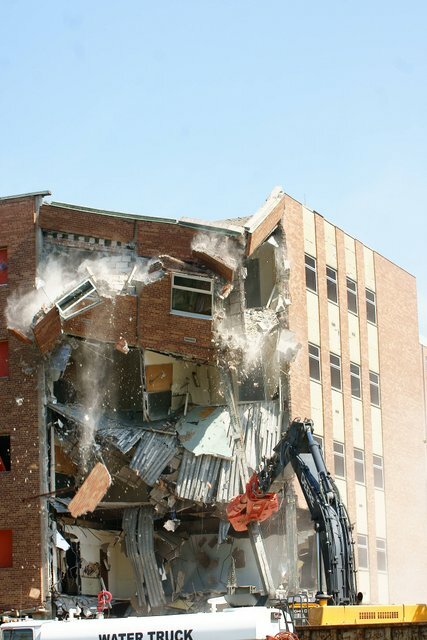 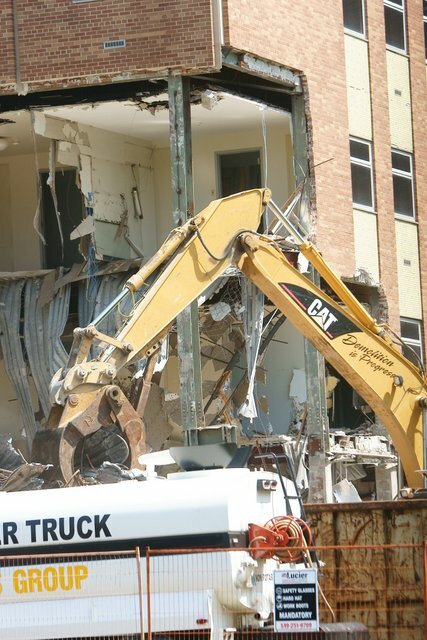 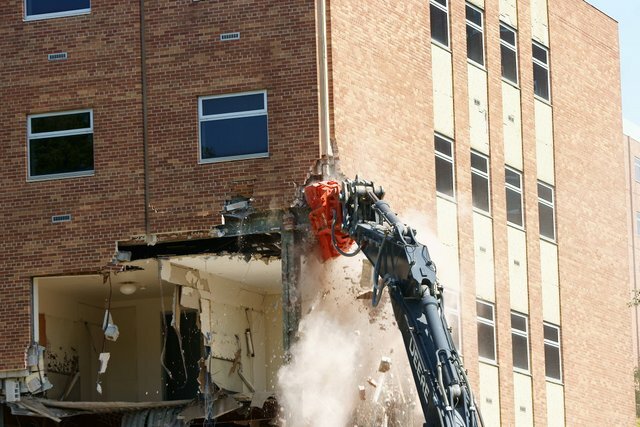 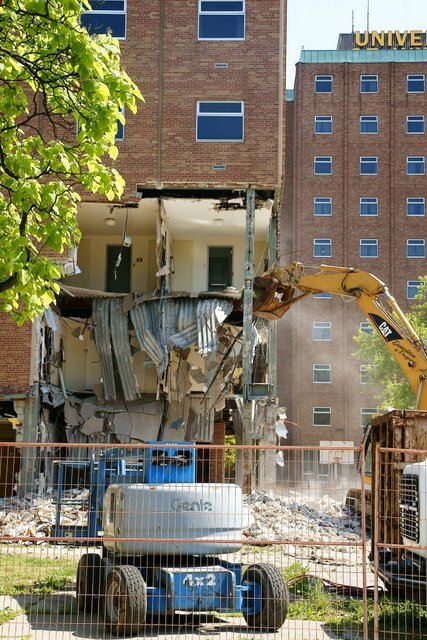 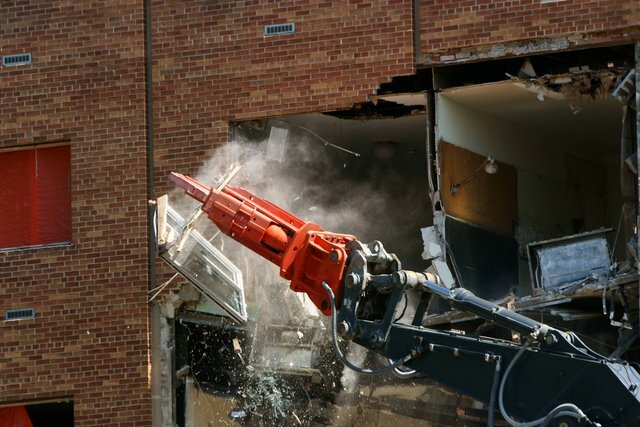 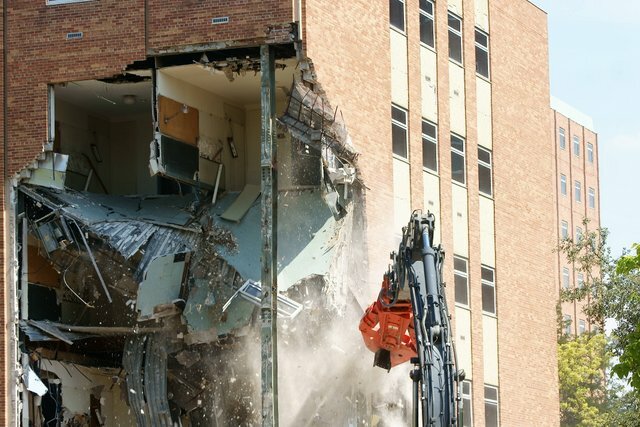 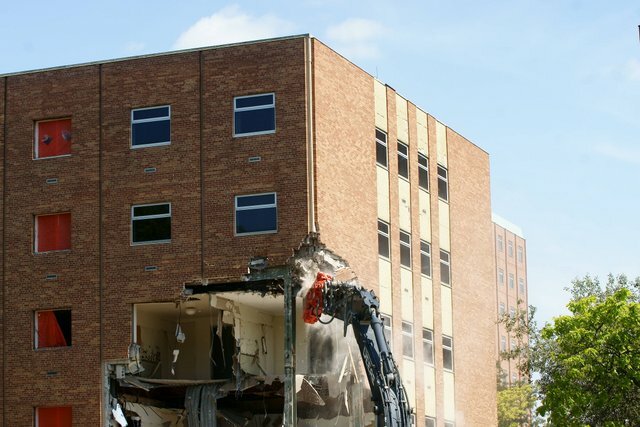 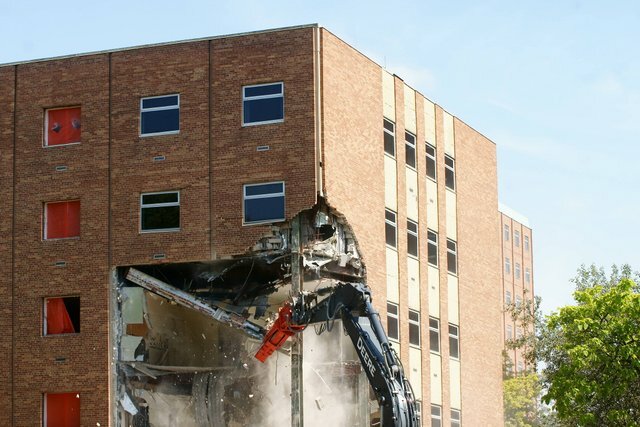 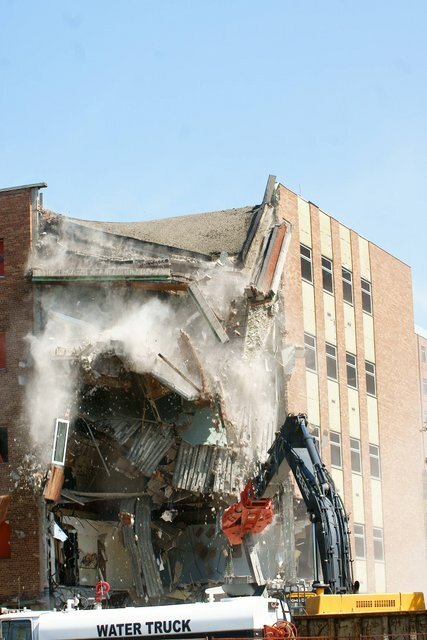 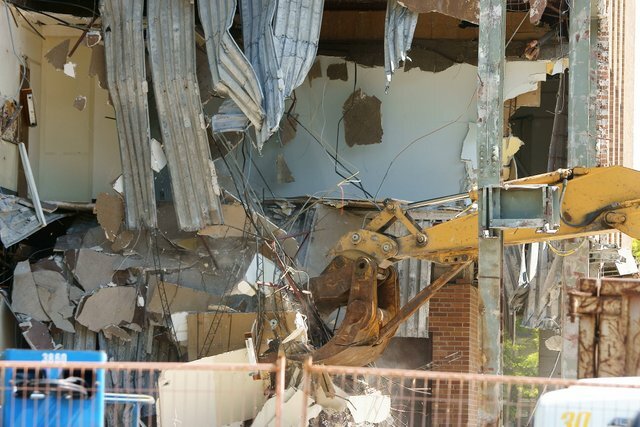 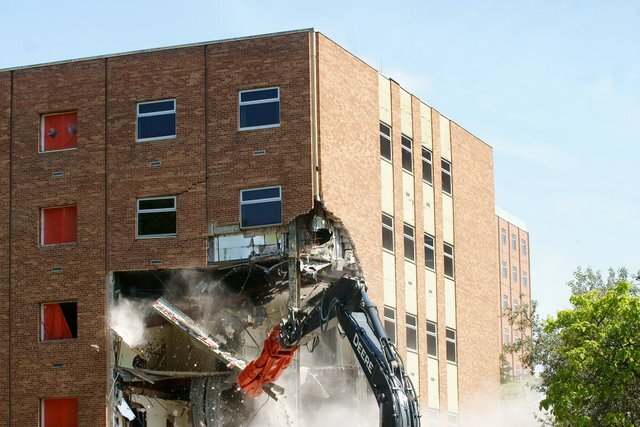 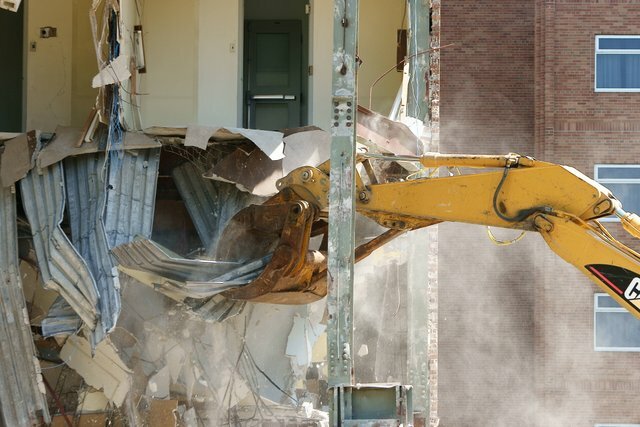 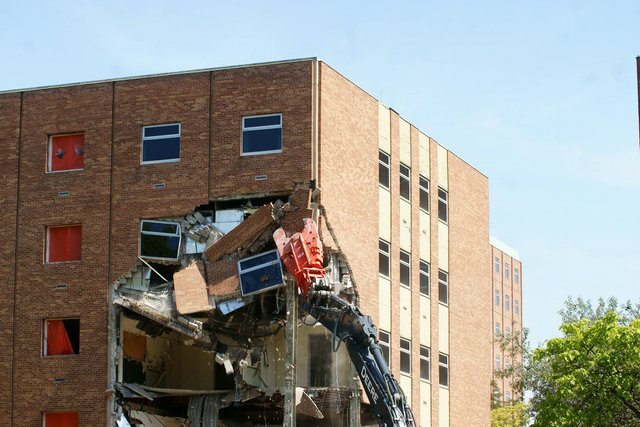 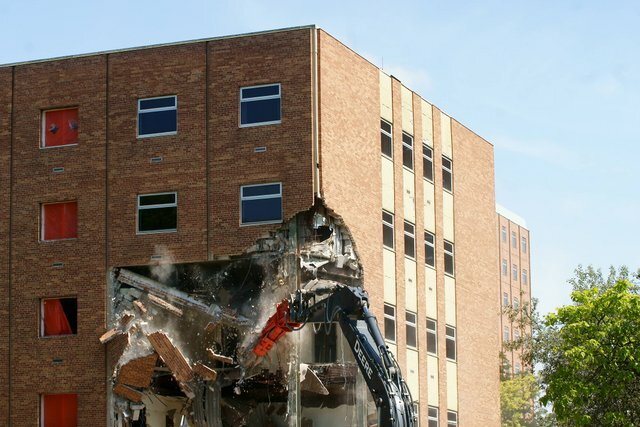 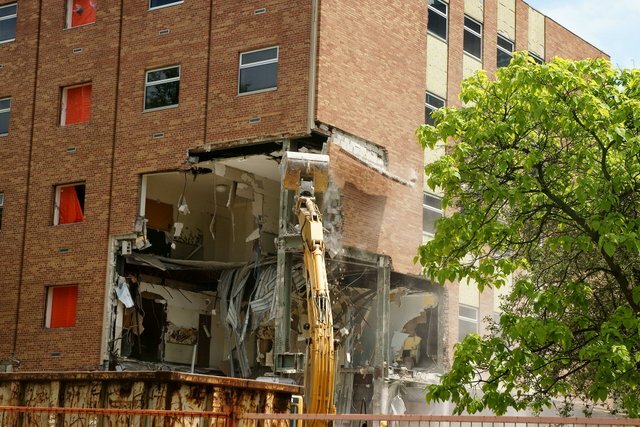 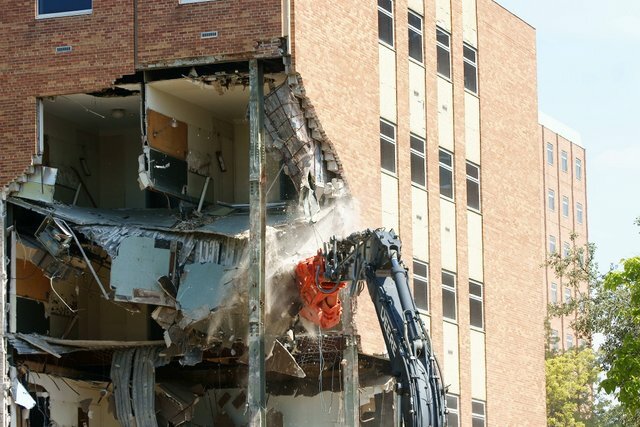 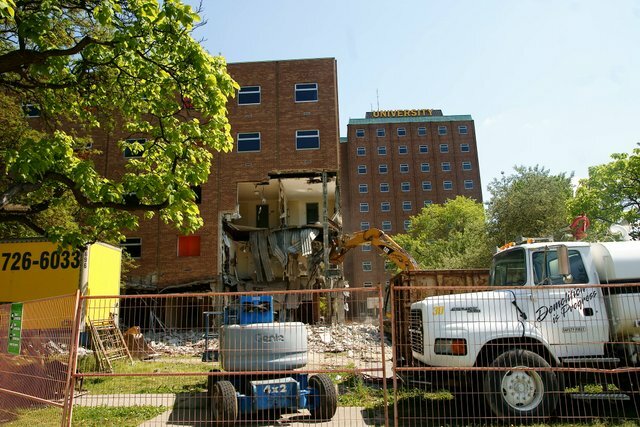 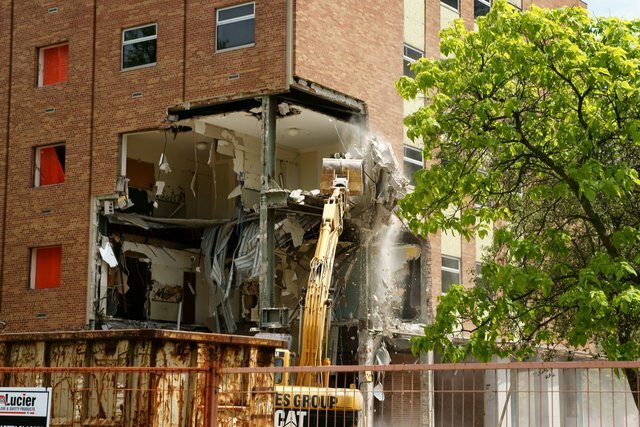 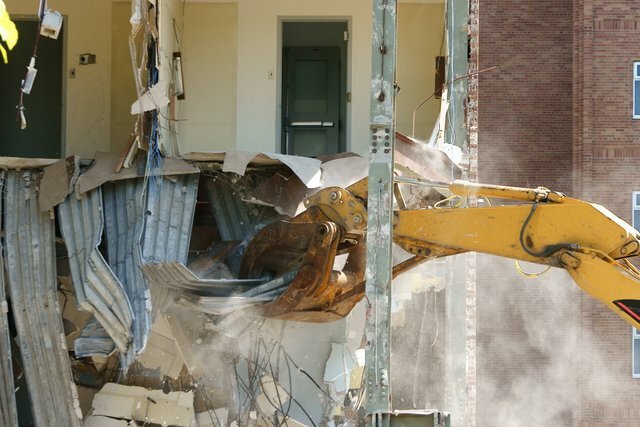 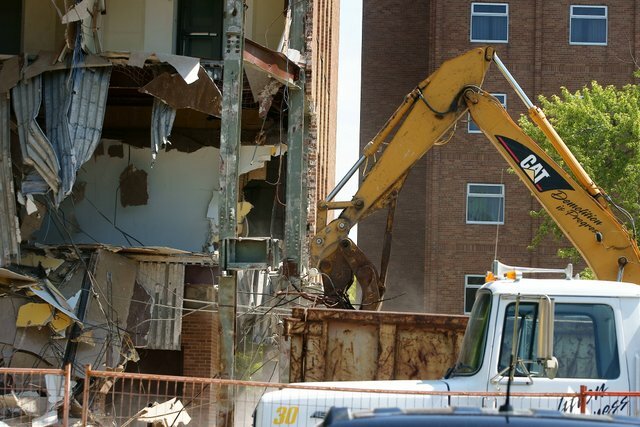 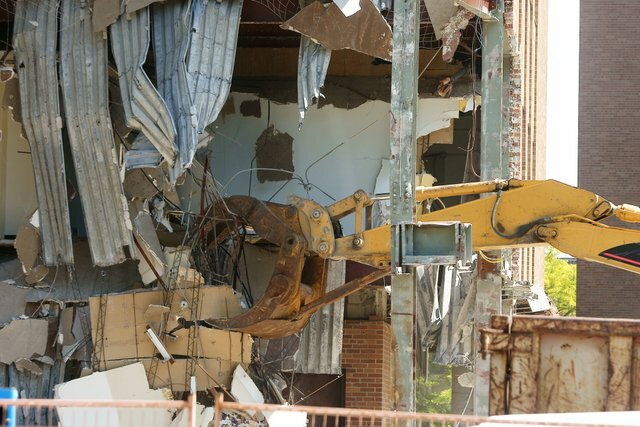 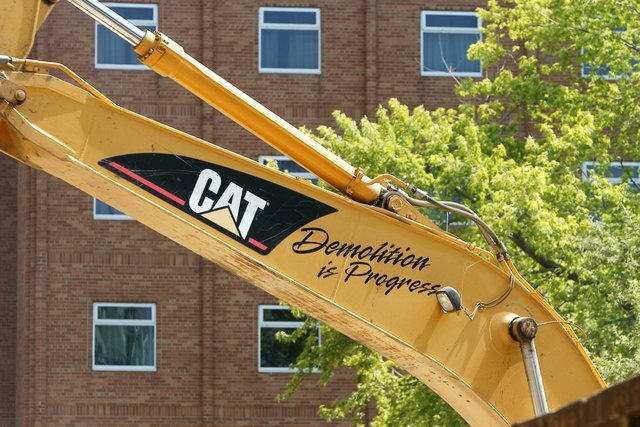 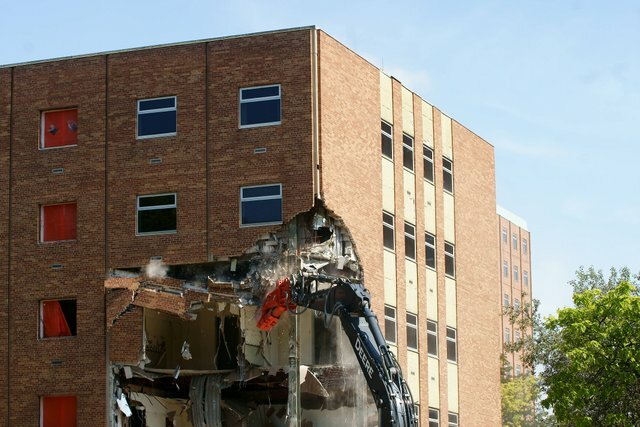 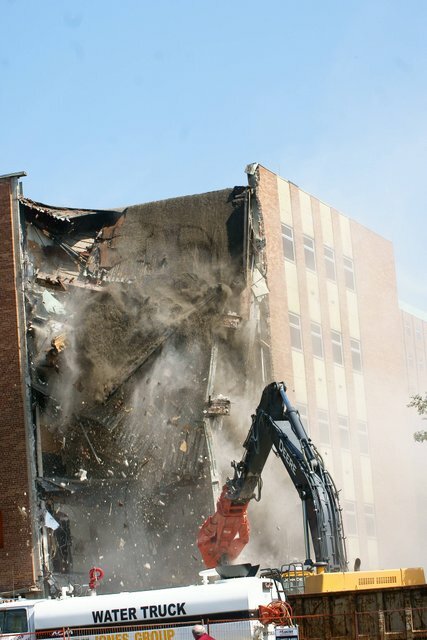 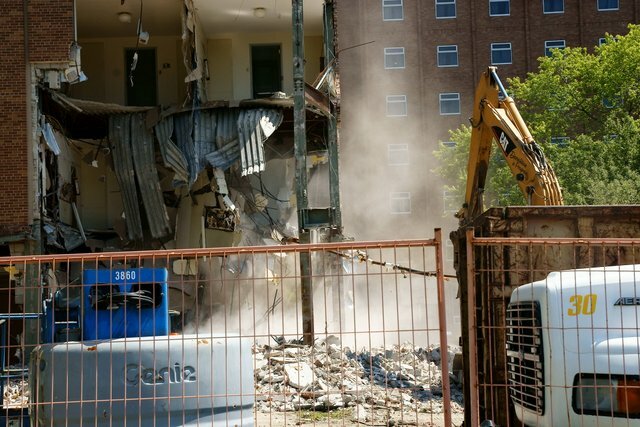 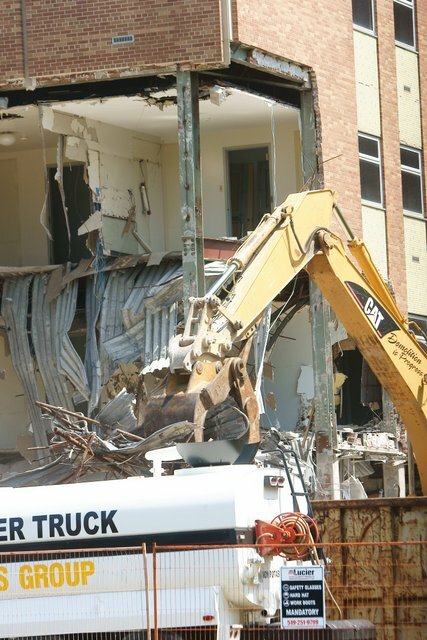 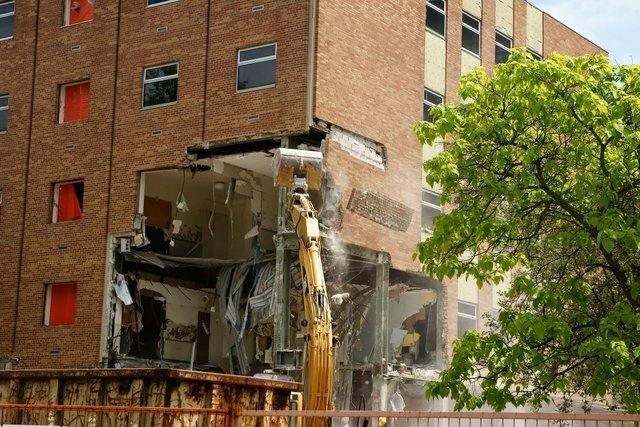 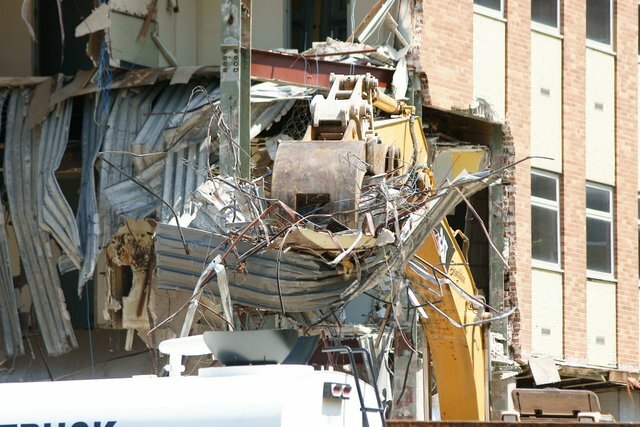 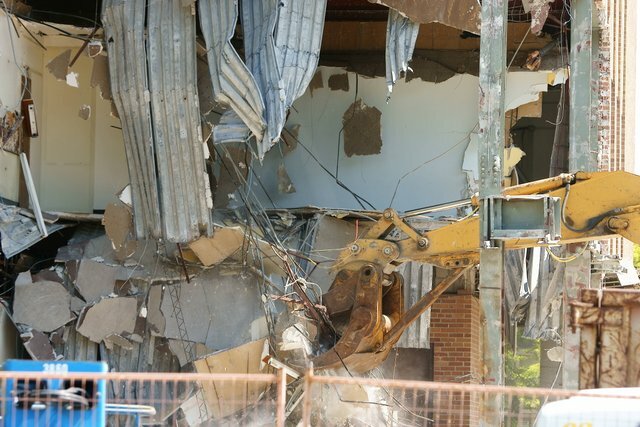 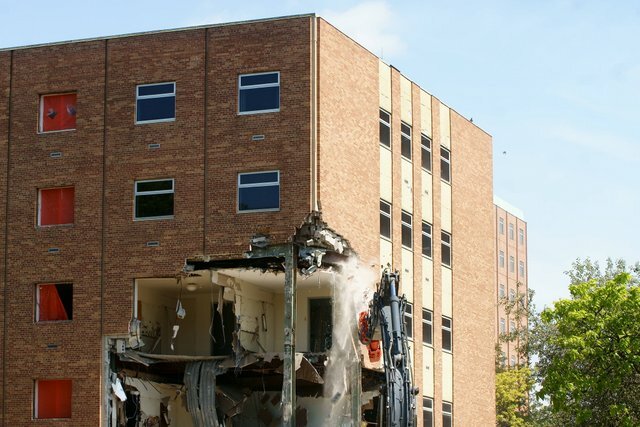 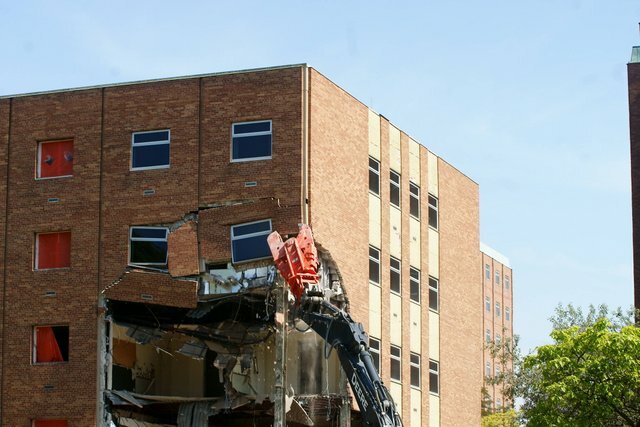 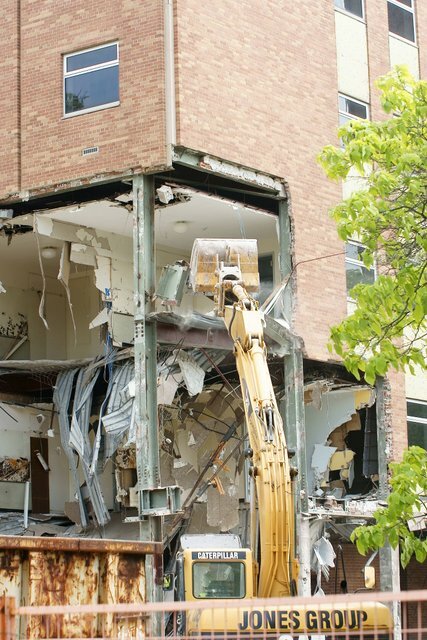 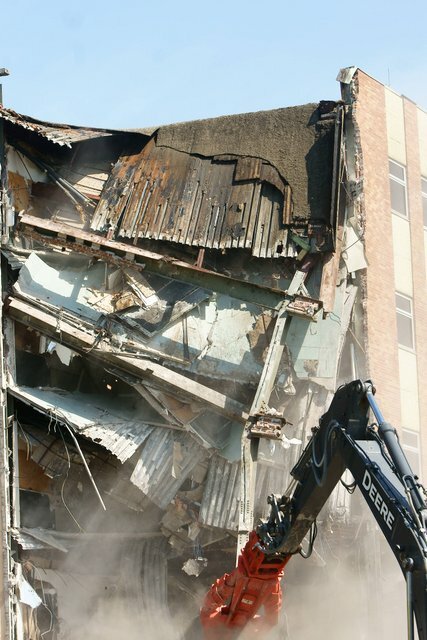 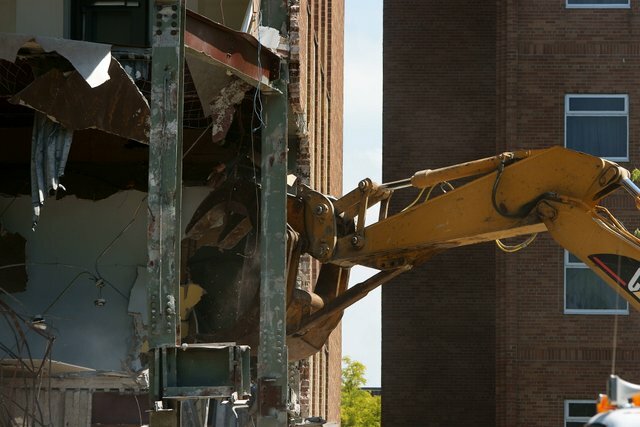 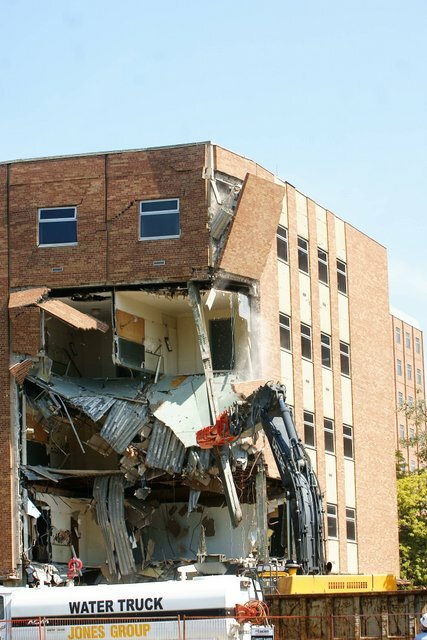 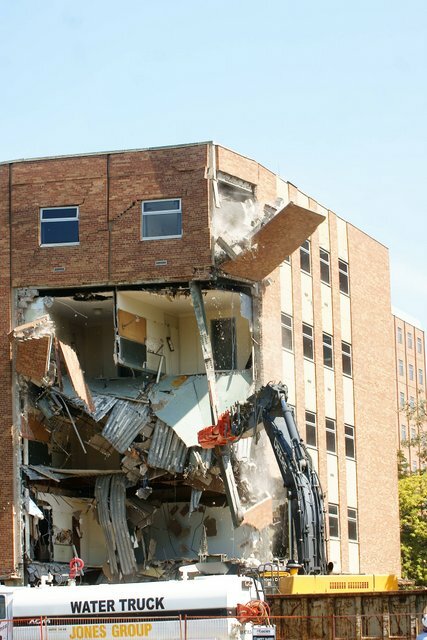 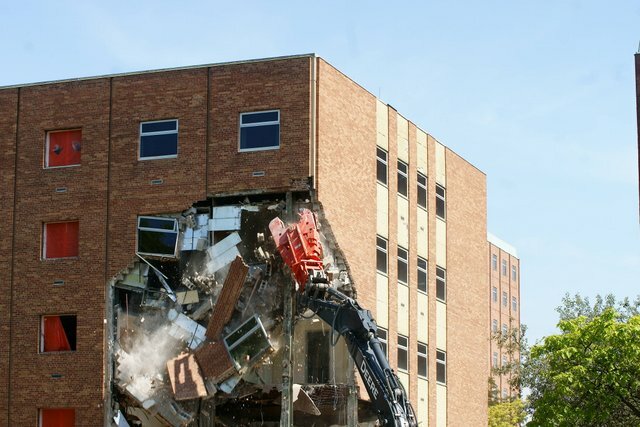 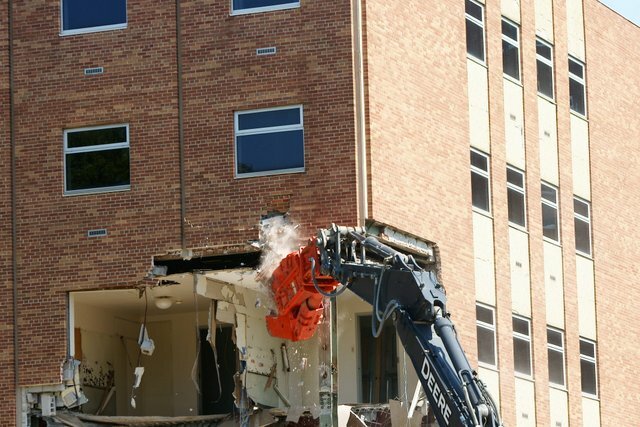 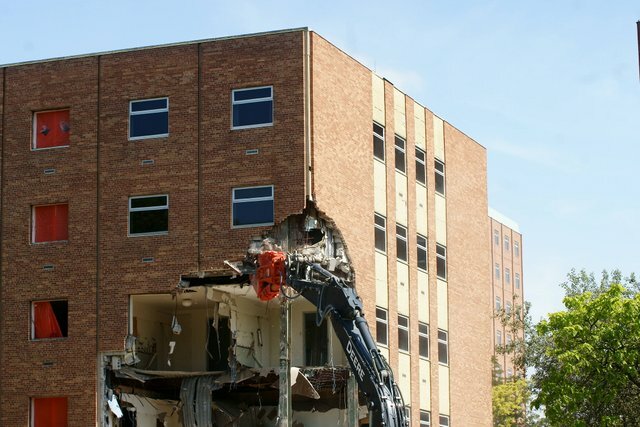 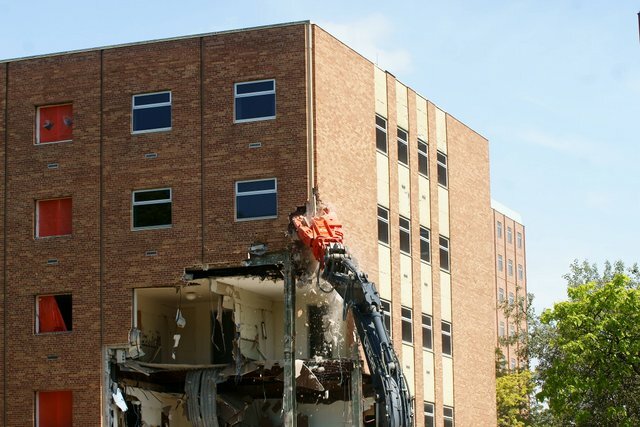 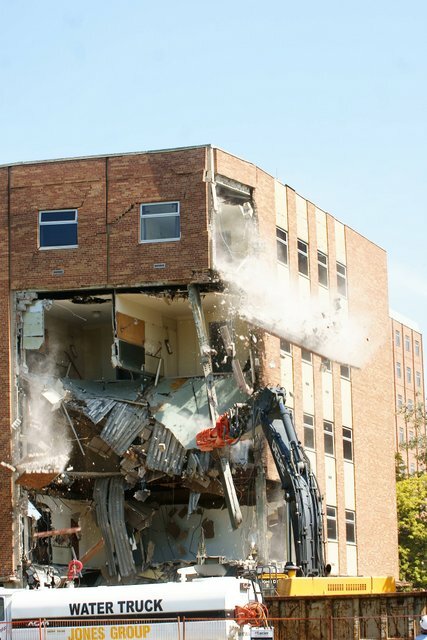 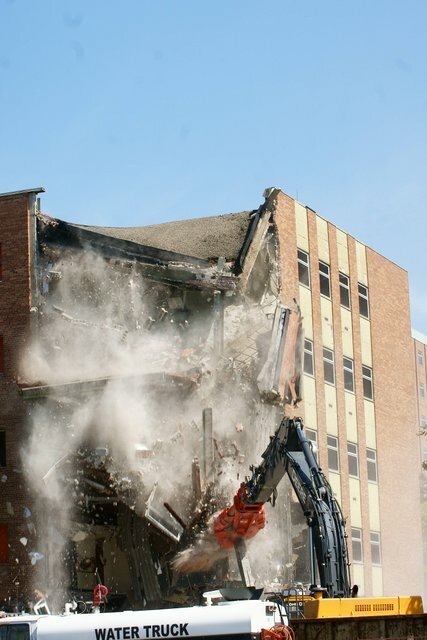 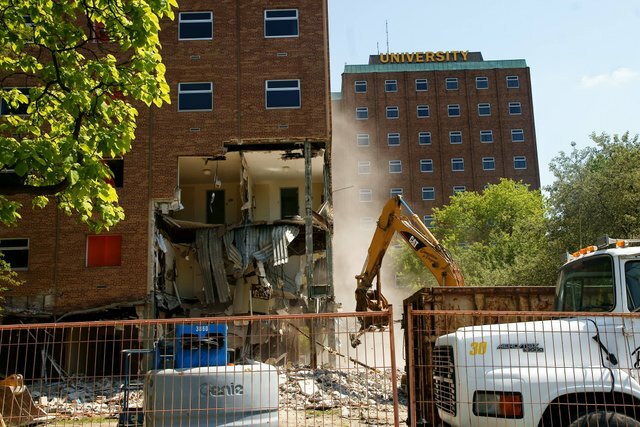 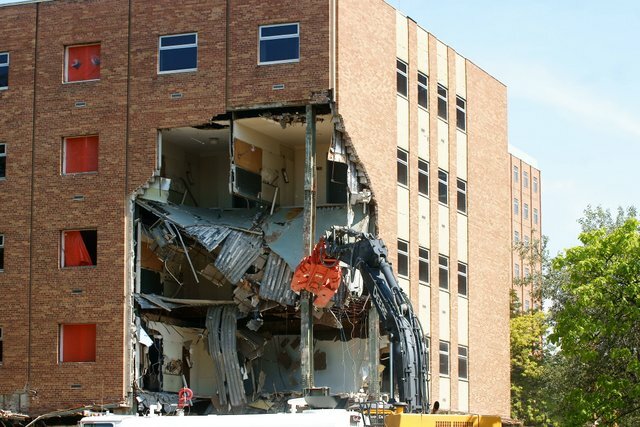 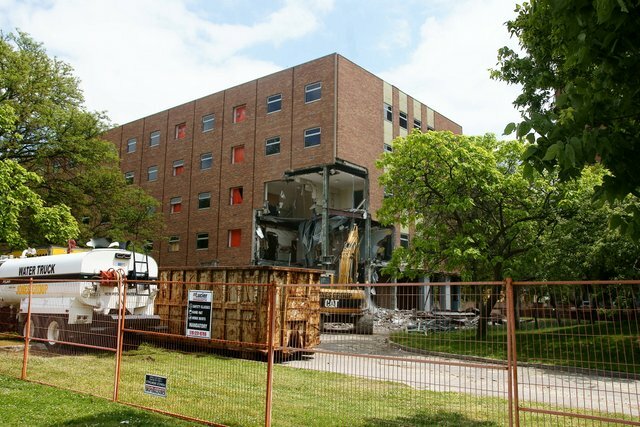 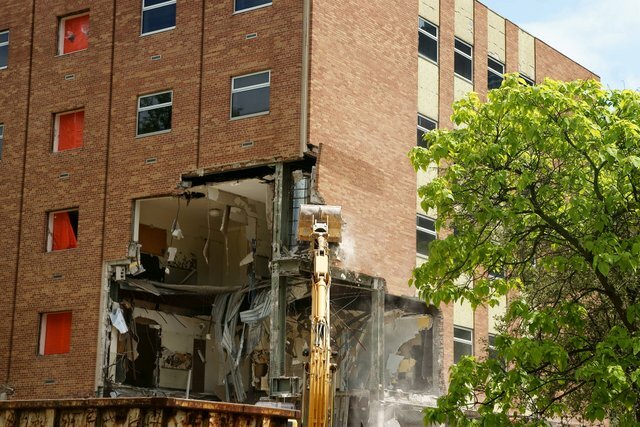 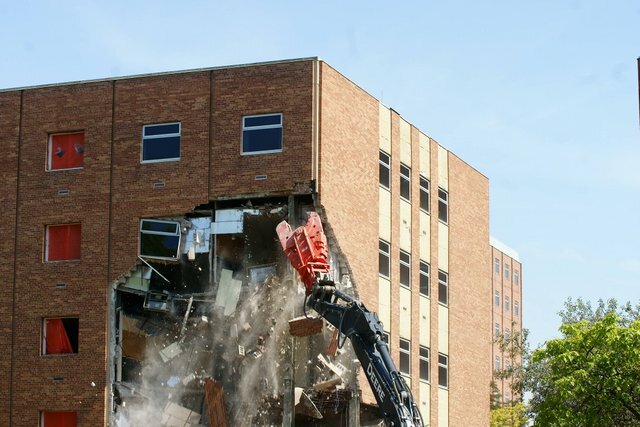 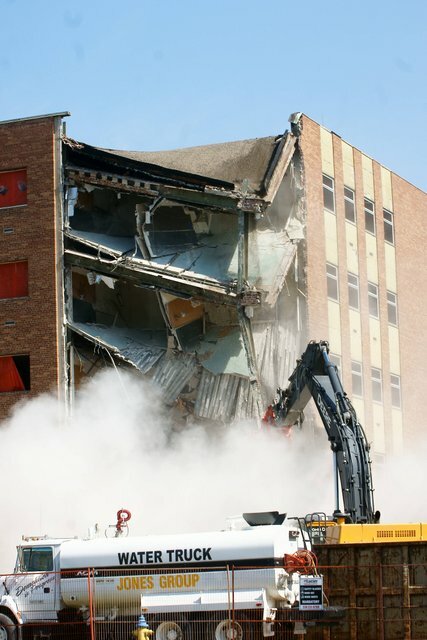 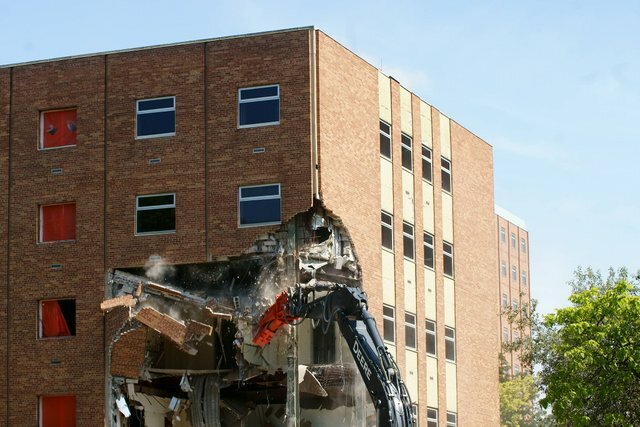 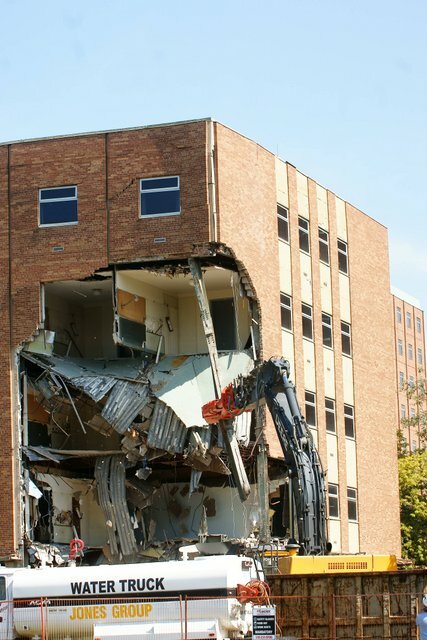 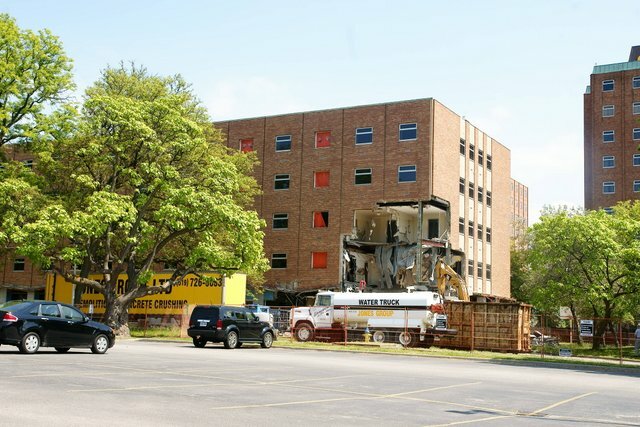 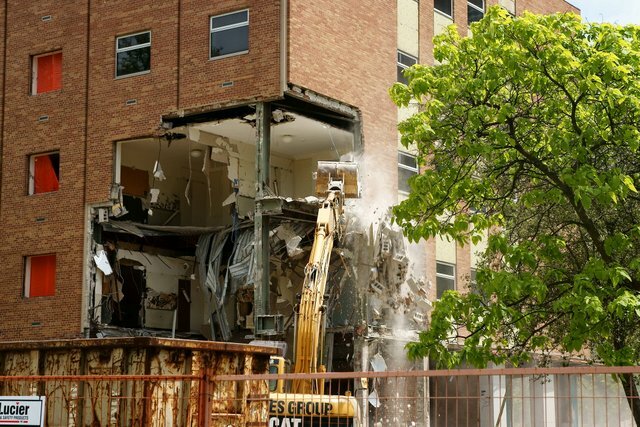 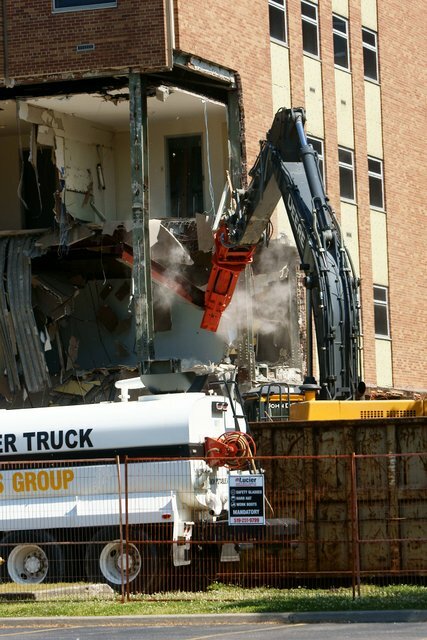 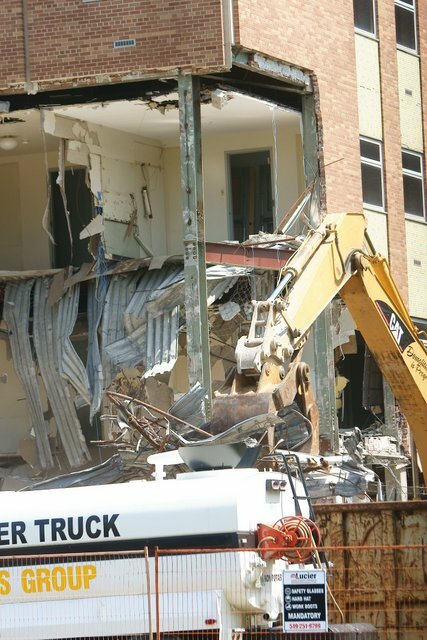 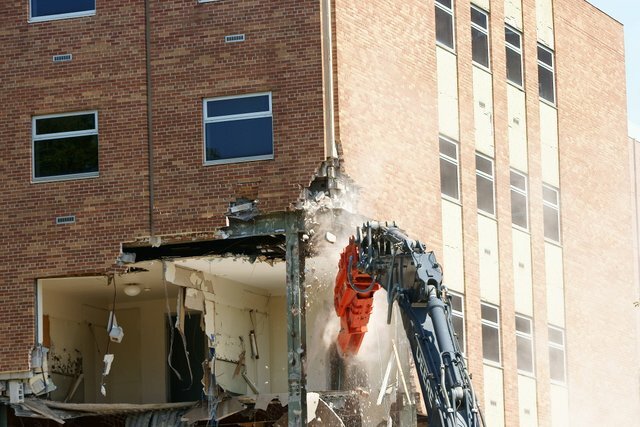 Demolition of former University of Windsor residence building Cody Hall began this afternoon. 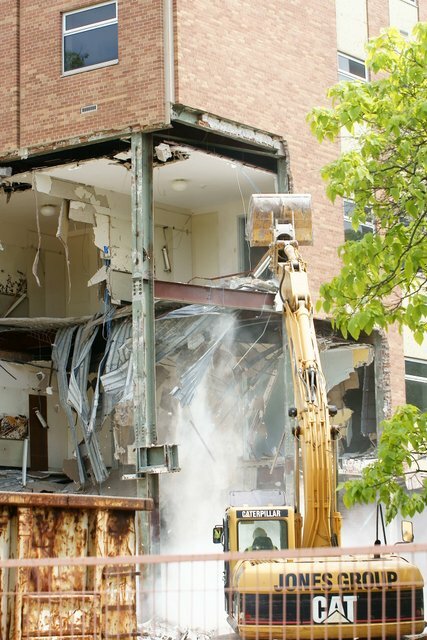 The Jones Group began tearing away at the northwest corner of the ages old building. 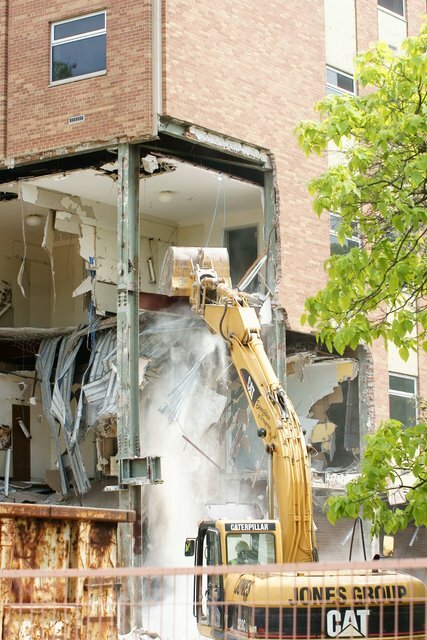 Jones Group Demolition has been working on the building since mid March to remove asbestos and secure the building for demolition. 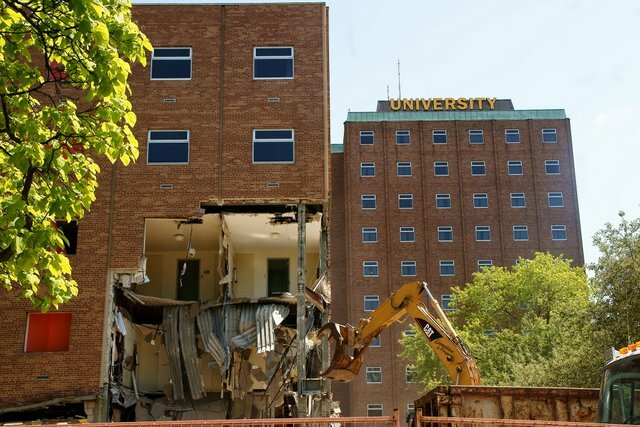 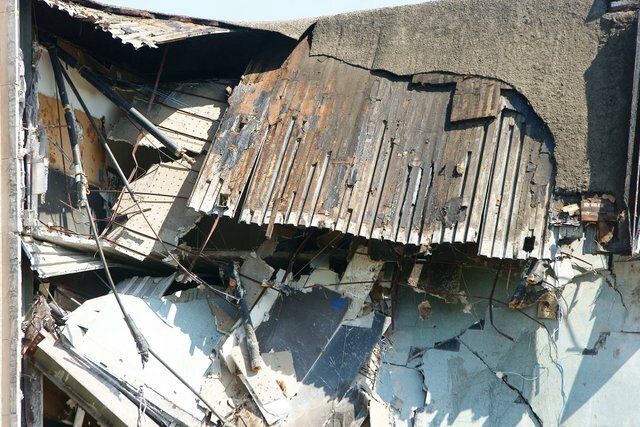 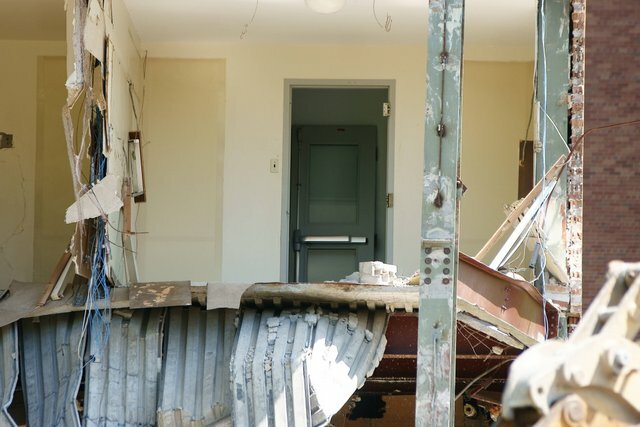 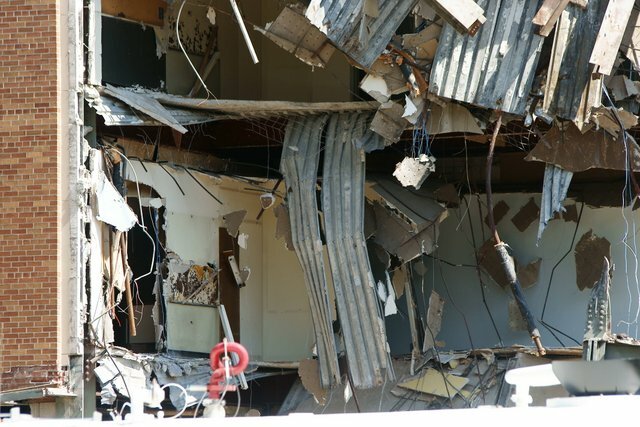 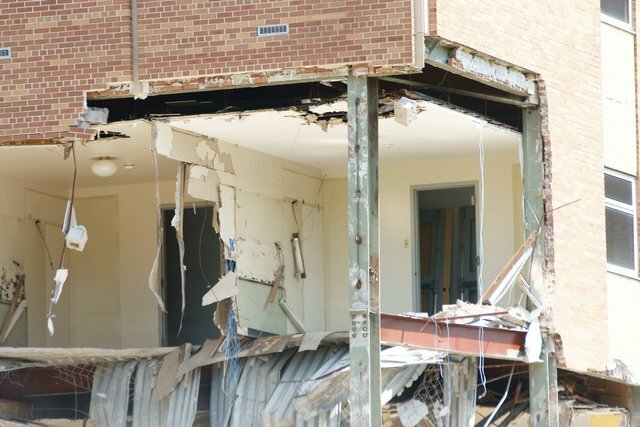 The University says that demolition should take abut four weeks.